Watch the video above of Grant Gaines, son of Steve Gaines, tell the Bellevue Baptist congregation about how he explained to his 6-year old daughter that Disney characters are going to burn in hell. "I don't think there's a time...where Pocahontas at some point in the movie gets down on her knees she repents of her spiritual paganism and turns to Jesus and is saved. It doesn't ever happen. Maybe there is some alternate ending I'm not aware of." Well, actually, Grant, there WAS an alternate ending. It is called "history". Pocohontas was a character in a popular Disney movie, but that doesn't mean she didn't become a Christian. Grant, unlike Sleeping Beauty, Pocahontas was a figure in history. It is widely believed that at some point she DID convert to Christianity. How can it be a good thing for a fundamentalist father to explain to his 6-year daughter who is into Disney and princess stories, that all of the princesses are going to die and go to hell unless they "repent, accept Jesus, and start fearing the Lord."? Obviously none of the characters in their respective movies did walk the aisle of a SBC church and pray and accept Jesus, so now a 6-year old has in her mind that her favorite characters are burning in hell?? Do we purposely need to get 6-year olds, in all of their innocence and trust, to focus on the horrors of hell and fire and brimstone, and that their favorite characters are there in eternal torment? Really? Sadly, I can picture this little girl going to school and when she hears the story of Goldilocks and the Three Bears, or the Jungle Book thinking (or saying out loud), "Goldilocks is burning in hell! Mowgli needs to accept Jesus and fear God or he will be where there's weeping and gnashing of teeth." Sheesh. 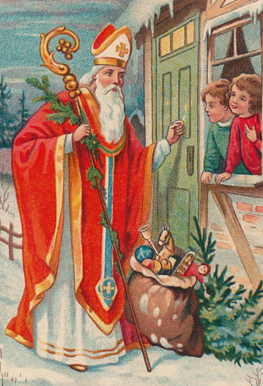 And of course poor modern-day Santa is headed to hell - although St. Nick was a bishop in the 4th century Greek church, but he probably didn't tithe or believe in inerrancy of scripture and probably didn't literally "accept Christ" - so Grant can explain to his kids that even Jolly Old St. Nick is burning right now with the Disney characters. This is just like homeschool guru Kevin Swanson explaining on his radio show what he told his little girls when they found two dead bunnies. He told them that this was what happens in the world because of man sinning against God. Because of sin in the world, little bunnies die. What a caring and compassionate father. How on earth do they know if a cartoon character makes it? Do they not know they're not actual living things? 2278The WD editorial in the video is a must-see! Most little girls have dreams of being a princess. Way to go, daddy! The man is sick, and so is his congregation for laughing at how he's hurting his little girl's imagination. So what about non human Disney characters? Can Grant give us some theological guidance as to their eternal destinies? For example, Olav? And if indeed he's going to he'll, how do I explain to my daughter how he's going to burn for eternity without melting? So what about non human Disney characters? Can Grant give us some theological guidance as to their eternal destinies? For example, Olaf? And if indeed he's going to he'll, how do I explain to my daughter how he's going to burn for eternity without melting? Oh sure! What a way for a father to damage his little girl's innocent fairy tale fantasies by telling her that all those Disney princesses are going to Hell when they don't in fact exist!! What a dumbarse! I'm pretty sure Jessica Rabbit is going to heaven, because her body is heavenly! How long before "daddy" gets his "preacher boy" a job at Bellevue? I am so glad I left the SBC and the clowns that call themselves preachers in that denomination. To me one of the most stunning things was his commentary on Pocahontas, a real person upon whose life the Disney movie is rather loosely based, who did indeed, according to history, become a Christian before the end of her short life. I wonder if he's ever read the story of Pocahontas to his daughter? Apparently he's never read it himself. He's following in his daddy's footsteps with the unsubstantiated "sermon illustrations." Chip off the old block! Whatever happened to preaching the gospel? "Whatever happened to preaching the Gospel?" Better yet what has happened to common sense and compassion? I wonder what the Disney Corporation believes? I've seen "goofies" in some pulpits. If you teach your kids about who Jesus IS in a truthful, loving, winsome way, then you don't have ever to worry about pounding in their heads who all these other people AREN'T. And they will be able to enjoy Disney, Santa Claus, and Halloween with a proper perspective and look back on their days of innocence that included cartoons, costumes, and fantasy with fondness and appreciation for their parents. My kids are in their 20s and are dedicated followers of Christ. They believed in Santa, watched every Disney movie hundreds of times, went trick or treating, even watched/read Harry Potter (OH MY GOODNESS!!) but they never fell into Satan worship or believing historical fiction. They have incredible heads and hearts. Mr. Gaines is ruining some great experiences for, and with, his children. The more important point or question in this story is "How does a prominent megachurch get such a buffoon in its pulpit?" Oh yeah, his daddy is the CEO/Pastor of the corporation. Similar to FBC Jacksonville allowing daddy's boy Trey Brunson to preach. No one else with similar qualifications could get a phone call through to the Pastor of this church. This is the result you get when leadership boards fail to hold modern day megapastors accountable. Nepotism runs rampant. I have a 6-year-old niece who loves Disney princesses, and I'm trying to imagine laying this whopper on her. Just can't do it. I wish he'd used someone like Lindsey Lohan——former kid star and current drug burnout——to demonstrate the difference between simple beauty and "vain" beauty. But then again, I don't think many six-year-olds can grasp that subtle moral distinction just yet. What I fear is that this kid will now feel guilty about enjoying any fiction or fantasy unless someone Gets Saved(TM). One day, either in this life or in eternity, his daughter will be so thankful that her father cared enough about her to teach her from a young age the dangers of an unrepentant heart and the gospel message that Jesus saves those who call out to Him for forgiveness. He is ready to forgive! He abundantly pardons!! What a good God!! !